Eighty-six persons from 20 organisations have completed mass casualty management training and many of them are to be deployed for the upcoming Mashramani celebrations. 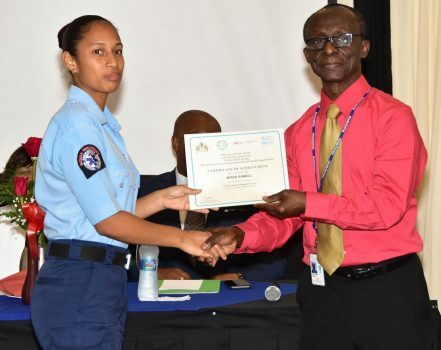 According to a statement yesterday from the Ministry of the Presidency, the Civil Defence Commission (CDC) in collaboration with the Pan American Health Organisation/World Health Organisation (PAHO/WHO), the Ministry of Public Health and the Canadian High Commission in Guyana on Wednesday concluded a one-week Mass Casualty Management (MCM) and Incident Command Systems (ICS) workshop. Each of the 86 participants is now internationally accredited in mass gatherings management techniques. Forty-two of the participants completed the ICS and 39 the MCM between February 5-7, 2018 and February 8-14, respectively. Additionally, five instructors completed their MCM evaluation. Many of the participants, according to Acting Director General of the CDC, Lieutenant Colonel Kester Craig, will be deployed over the Mashramani period in accordance with the Mass Casualty Management and Evacuation Plans that were developed by the CDC and its partners for mass events. In his address to the participants at a closing ceremony at Herdmanston Lodge, Minister of State, Joseph Harmon, who has responsibility for the CDC and disaster risk management, said that for a small country with limited resources like Guyana, planning is key. “… I wish to assure you that the Government of Guyana will continue to invest in the development of Disaster Risk Reduction and Management in Guyana. We will never be caught in a situation where we do not have a plan. We must plan for all eventualities. It is only by planning and preparing that we will be in a position where we can respond positively. 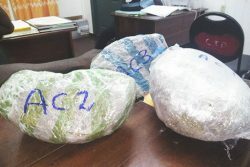 We have limited resources and if we are to have optimum use of those resources, we have to plan careful and apply the resources we have in a practical and efficient way,” he said. 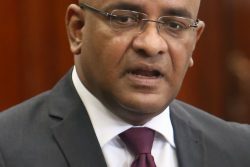 Harmon said that the acceptance of and commitment to building the country’s disaster response capacity is demonstrated in the increased subventions to the CDC from $1M per quarter in 2015 to in excess of $90M per year in 2018. The Government, through the CDC is taking action to further strengthen our Civil Defence Mechanism,” he said. 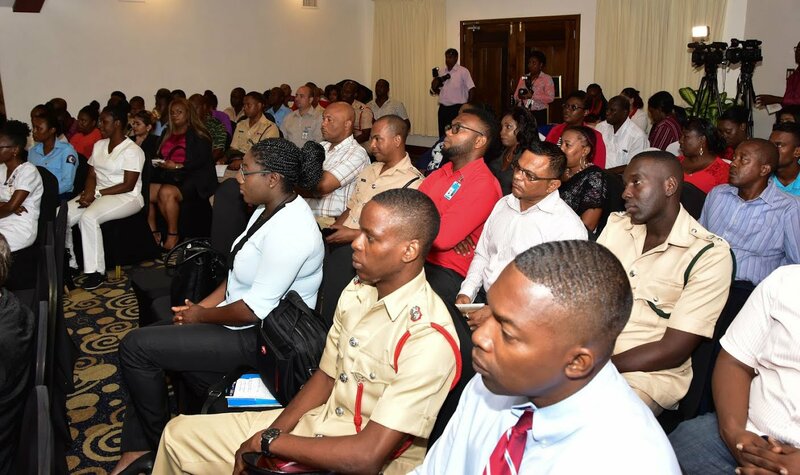 Harmon disclosed that emergency responders were able to provide immediate and advanced medical care to in excess of 150 persons at various national events held at D’Urban Park for the period May 2016 to May 2017. At the Jubilee celebrations held in May 2016, the system provided medical care to 69 persons. Craig, in his remarks, said that Guyana, must work to enhance its collective capacity to be able to provide an effective response to emergencies and disasters at all levels. “We sought to address this issue through the strengthening of our institutional capacity. In doing so, it was recognised that collaboration with the CDC and all critical stakeholders was important to complete such a task. These two courses provided the participants with the model tools for command, Control, Prioritisations and Coordination of response to manmade and natural disasters. The training also provided the participants with the skills and knowledge to coordinate the efforts of agencies as they work toward the common goal of stabilising incidents and protecting life, property and the environment,” he said. PAHO/ WHO Country Representative, Dr. William Adu-Krow, in his brief remarks, said “This collaboration certainly augurs well for our prepositioning of preparedness and indication of Government’s commitment to the strengthening of the capacity to deal with mass casualty events. We believe that these courses will have a direct impact on enhancing the technical capacity of our professionals to react effectively to mass casualty events”. Lilian Chatterjee, Canadian High Commissioner to Guyana, said “I must commend the organisers for arranging this particularly at a time when we here in the Caribbean are dealing with the effects with climate change. The Caribbean is seen as one of the most exposed regions to natural disasters. Canada remains committed to helping the Caribbean rebuild better and stronger for the future. We are working to improve the capacities of countries in the response to natural disasters and to reduce their impact on the people,” she said.